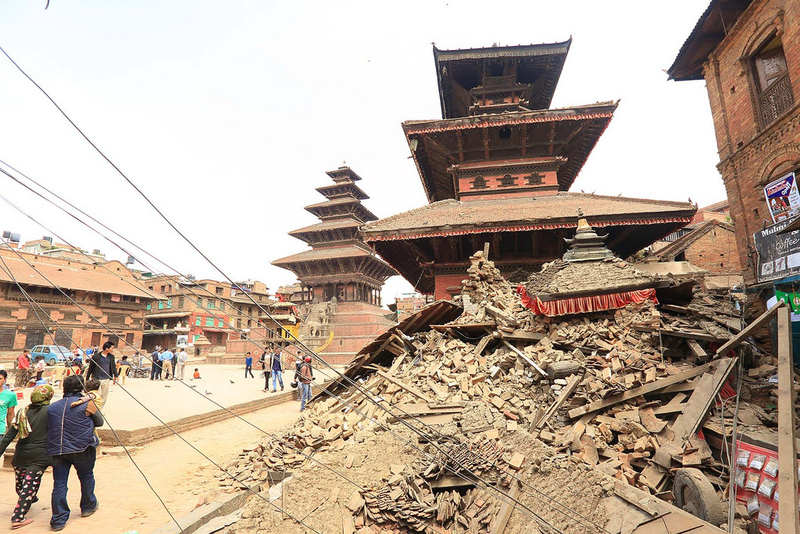 Mother Nature has devastated Nepal just as the country was beginning to dig itself out from two decades of havoc unleashed by tectonic rifts in its human society. 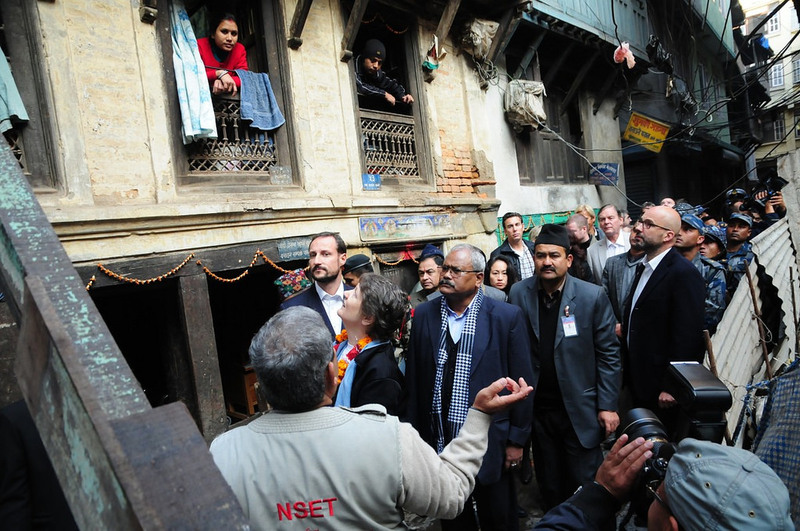 The earthquake that struck a week ago has set back for at least a decade the early stages of Nepal’s climb out from the basement of global economic development, where it has languished for generations. Those brighter prospects followed the 2005 end of the 10-year civil war against Maoist insurgents in which tens of thousands of people died and much of the country remained ungovernable. And the last years of the civil war coincided with a convulsive political shift from absolute monarchy to democracy. This began in 2001 when the Crown Prince exploded into murderous rage and killed his father, the king, and seven other members of the royal family. 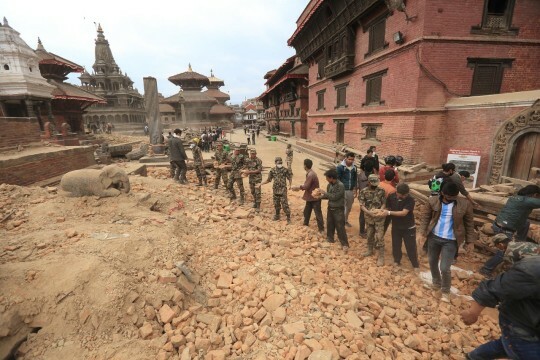 Many will doubt whether Nepal’s fledgling democratic institutions are robust enough to manage the onslaught of the well-meaning, but often destructive, attentions of international aid agencies that will now batter the country. But there are reasons to be optimistic. The late 2004 earthquake and tsunami that threw Indonesia into turmoil not only led to the end of the separatist insurgency in devastated Aceh province, it also helped propel the democratic transition that had started five years before. Against all odds, Indonesia is now arguably the most vibrant democracy among the 10 countries of Southeast Asia. Nepal was always a ramshackle monarchy. It was formed in war out of several Himalayan mini-kingdoms by the founder of the ethnic Shah dynasty of the Gorkha group in 1768, but the clan and caste divides of its creation continued to be rupture points in Nepalese society. A key moment came in 1815 with the invasion and defeat of the British, coming up from India to the south. For the British, this began a two-hundred-year fascination with the “Gurkhas,” the incomparable infantry soldiers recruited from Nepal’s mountain villages whose brigades continue to serve in both the British and Indian armies. On the part of the Shahs, it bred a love for and loyalty to the British, which was crucial to the survival of London’s Indian Empire on several occasions. But with admiration for British institutions came a yearning for democracy, especially after independence in 1949 for India, whose own ruling Congress Party strongly influenced the Nepali Congress Party. The Shahs, however, were not natural constitutional monarchs, and in 1955 King Mahendra tired of quarrels with parliament and dumped the experiment. The response came many years later, in 1996 with the formation of the Communist Party of Nepal (Maoist), whose demands for an end to the monarchy quickly slid into civil war. This was a nasty and brutal affair in which at least 12,000 of the country’s 26 million people were killed. The slaughter that changed the course of the uprising didn’t happen on the battlefield, however. It happened in the royal palace of Narayanhiti in the capital, Kathmandu, on the night of June 1, 2001. 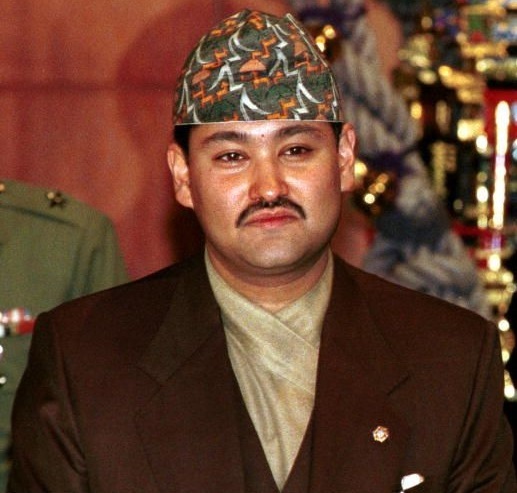 Crown Prince Dipendra, then approaching his 30th birthday, was disgruntled, to say the least, with his family. Dipendra wanted to marry Devyani Rana, who he had met when both were living in Britain in the late 1980s. But Devyani is from the Rana clan, who by killing much of the royal household in the Kot Massacre of 1846, became hereditary prime ministers, and perpetual challengers to the power of the monarch. The most vehement opponent of the marriage between Dipendra and Devyani was the Crown Prince’s mother, Queen Aishwarya. Why she was so opposed has never been fully explained because she herself came from the Rana clan. In any event, her opposition and successful lobbying of her husband, King Birendra, to block the marriage pushed Dipendra over the edge. Dipendra had what we would now call “anger management issues” at the best of times. He was given to temper tantrums and is reported to have broken a door in rage in 1990 when his father agreed to popular demands for a restoration of a form of constitutional monarchy. Dipendra saw this as a debasement of his inheritance. The prince was also an avid gun collector. His quarters in the palace are said to have been packed with pistols, rifles and submachine guns. So, when on the evening of June 1, 2001, primed with a massive intake of alcohol and marijuana, Dipendra finally lost all patience with his family, he was well-prepared. Armed with several guns, he went into the living room where the family was gathered. He first shot his father, the king, then his mother, who was so disfigured by her son’s gunfire that at the state funeral her face had to be covered by a mask bearing her likeness. Dipendra went on to shoot his brothers and sister as well as three cousins before shooting himself. The bloodbath brought King Birendra’s brother and Crown Prince Dipendra’s uncle, Gyanendra, to the throne. Inevitably, the palace massacre has become the stuff of conspiracy theories. Many felt the week-long investigation into the massacre by a committee of officials, which concluded Dipendra alone was responsible, failed to address key questions. There are, then, almost countless speculations about why and even if Dipendra wiped out his family. The most credible of the theories is that Gyanendra somehow engineered Dipendra’s murderous rampage. One view is that he could have entered into a conspiracy with the prince to kill the king. Another is that he played on the young man’s hot temper by bombarding him with stories about the declining power of the monarchy under King Birendra and the increasing worthlessness of the prince’s inheritance. If those notions aren’t Shakespearean enough, one of the most outlandish theories is that the killing wasn’t done by Prince Dipendra at all. In 2008 a palace guard told a Kathmandu newspaper he was on duty at the palace the night of the killings. He says he saw Paras, son of Gyanendra, come to the palace accompanied by a man wearing a Dipendra look-alike mask. The army guard said the masked man first shot and killed Dipendra in the prince’s apartnment and then killed the other royals. The soldier said that when he made a statement about what he had seen, he was arrested by the army and held in detention for a month. The conspiracy theories bubbled so vigorously that at one point Gyanendra was forced to hold a press conference to deny the allegations he had had a hand in his brother’s murder. But in the meantime the entire complexion of Nepali politics had changed. Gyanendra inherited not only a bloody throne, but also absolute deadlock in the war with the Maoist insurgents. The communist guerrillas held a good deal of rural Nepal while the government forces held the towns. Neither was strong enough to dislodge the other. Gyanendra tried to break the stalemate early in 2005 by dismissing the government and parliament, and assuming dictatorial powers. This sort of worked because by the end of the year the Maoists had taken the peace initiative by declaring a three-month ceasefire and volunteering negotiations. But at the same time, much of the urban populace in government-held regions was unhappy and a pro-democracy movement was taking to the streets at every opportunity. In April, 2006, King Gyanendra reluctantly gave up his dictatorial powers and recalled the House of Representatives he had dismissed the previous year. Once back in session the House of Representatives began dismantling the king’s power and then ended Nepal’s age-old status as a Hindu kingdom. The second boot dropped in December, 2007, when the House changed the constitution to make Nepal a republic. Elections were held in May, 2008, and 560 of the 564 members of the new National Assembly voted to confirm Nepal as a secular democratic republic. Ex-king Gyanendra was given two weeks to move out of the palace. He moved into a two-bedroom apartment in Kathmandu. These transitions from autocracy to some form of representative and accountable government are seldom smooth, and Nepal’s was more tempestuous than most. In May, 2009, a year after the Maoist-led government had come to power, it was toppled in the National Assembly and a different brand of communist government came to power. In a move reminiscent of Monty Python’s “Life of Brian” and the bitter conflict between the Judean People’s Front and the People’s Front of Judea, the Communist Party of Nepal (Maoist) was replaced by a government led by the Communist Party of Nepal (Unified Marxist-Leninist). This did not bring stability, however, and after going through a couple of unsuccessful prime ministers, in August 2011 the Unified Marxist-Leninists were forced to give way to a return of the Maoists. But the Assembly was unable to complete its first order of business – writing a new constitution – in the stipulated time, and new elections had to be held. This finally produced a stable coalition government in February last year led by Prime Minister Sushil Koirala of the Nepali Congress Party. Writing a new constitution remains top of the agenda, and that remains a fraught and highly divisive issue. There are three main bones of contention. One is whether Nepal should remain a secular state. There are strong feelings among Nepalis that the country should resume its historic self-definition as a Hindu state. This movement has been fed by the coming to power in neighbouring India of Prime Minister Narendra Modi and his Hindu nationalist Bharatiya Janata Party. But over 20 per cent of Nepalis are not Hindus. About 10 per cent are Buddhist, five per cent are Muslim and the rest are either animists or Christians. On the electoral front, there is a major debate over whether the new constitution should adopt the classic Westminster first-past-the-post form, or if it should opt for a system of proportional representation to better reflect the country’s diversity. The third and most explosive constitutional issue is the size and extent of new provinces. At the moment, Nepal has five “development regions,” 14 “zones” and 75 “districts.” Many of the rivalries that have flared up over the size and boundaries of proposed provinces go straight back to the minor kingdoms from which the country was formed in the 18th century. Despite the political turbulence, Nepal’s economy has been growing by five per cent a year in recent years. But much of that growth and 23 per cent of the country’s gross national product comes from remittances sent home by Nepalis working abroad. These include Gurkha soldiers in the British and Indian armies, and other Nepalis doing various jobs in the Middle East, the United States and Europe. Even so, the percentage of Nepalis living below the United Nations-defined poverty line of $US1.25 a day has halved over the last seven years. This improvement is also reflected in drops in the child mortality rate and better nutrition. Hopefully, the awful reality of the aftermath of the earthquake and the need to start rebuilding will concentrate the minds, as it did in Indonesia, and petty political rivalries will get buried in the rubble. Jonathan Manthorpe is a founding columnist with Facts and Opinions and is the author of the journal’s International Affairs column. Manthorpe has been a foreign correspondent and international affairs columnist for nearly 40 years. 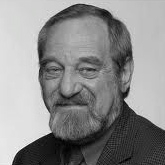 Manthorpe’s nomadic career began in the late 1970s as European Bureau Chief for The Toronto Star, the job that took Ernest Hemingway to Europe in the 1920s. In the mid-1980s Manthorpe became European Correspondent for Southam News. In the following years Manthorpe was sent by Southam News, the internal news agency for Canada’s largest group of metropolitan daily newspapers, to be the correspondent in Africa and then Asia. Between postings Manthorpe spent a few years based in Ottawa focusing on intelligence and military affairs, and the United Nations. Since 1998 Manthorpe has been based in Vancouver, but has traveled frequently on assignment to Asia, Europe and Latin America. Facts and Opinions is an online journal of select and first-rate reporting and analysis, in words and images: a boutique for slow journalism, without borders. Independent, non-partisan and employee-owned, F&O performs journalism for citizens, funded entirely by readers. We do not carry advertising or solicit donations from foundations or causes. Thank you for your patronage, and please tell others about us.